Remember the good old days when we had to go out of the house in order to buy anything? The internet had changed this entirely and made our lives a whole lot simpler. E-commerce websites allow us to buy almost anything we want, at a comparatively cheaper rate. This has been highly beneficial for all the customers, as well as the merchants who sell on these E-commerce websites. However, in the current situation, there are a lot of middlemen involved, in the form of payment processors and the websites themselves. You might want to start your own E-commerce website to avoid all this, but that is a very complicated job, especially if you have never coded before. To solve these problems, Bezop has come up with its blockchain Project. 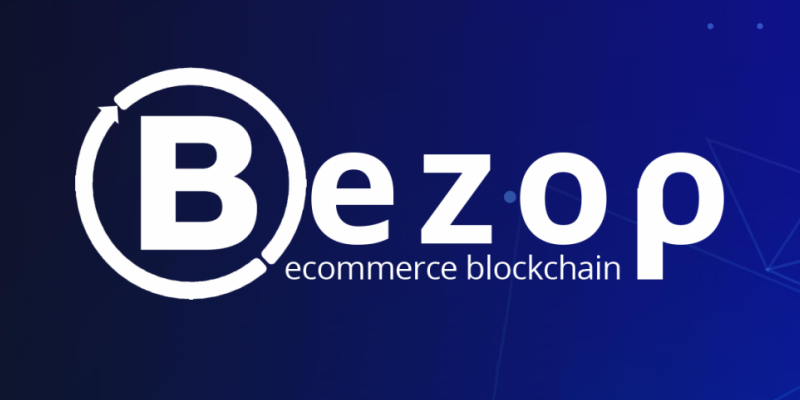 The Bezop project aims at solving the current E-commerce problems by using the blockchain technology. Merchants can sign up on the Bezop platform and start listing their products on the blockchain. Customers can access the E-commerce website and purchase anything they need. The payment for the orders will be done in the form of Bezop tokens. Because the platform has no middlemen involved, the cost for anything that you purchase is lower than other E-commerce websites. The merchants also get paid better because of the elimination of the middlemen. Proof of order: This verifies that a transaction has occurred, also adding legitimacy to such transactions. Proof of Delivery: This verifies that the product was delivered to the customer. Proof of Work: Like most other crypto networks, Bezop also implements the proof of work protocol. However, miners are also paid for fulfilling any orders. The platform also makes use of smart contracts in order to eliminate any third-party payment processors. This eliminates the additional fee that goes to these payment processors. Since it is governed by a smart contract, everyone can be assured that there will be no chance of errors. An ERC20 token, called the Bezop token, is used to make all payments on the platform. It can be bought on various exchanges, such as HitBTC, etc. Using the native token for purchases ensures that the payment goes through without any hiccup. An E-commerce website on the blockchain will certainly have a lot of benefits. Customers: Customers can buy the product they want at a discounted price. Additionally, there won’t be any error in pricing because it will be governed by an incorruptible smart contract. Merchants: Merchants can now get on an E-commerce website without having to pay a higher fee. Due to the elimination of all the middlemen, the entire amount from a transaction goes to them. Thus they get paid better. With Bezop, the blockchain technology has entered the e-commerce market as well. The development of the project so far has been extremely good. The team behind the project has been very interactive and therefore, managed to gain a huge community support. With John Mcafee as one of the advisors, this project is all set to disrupt the e-commerce marketplace.